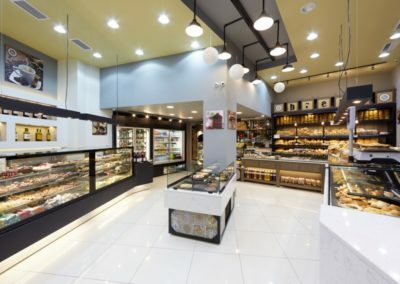 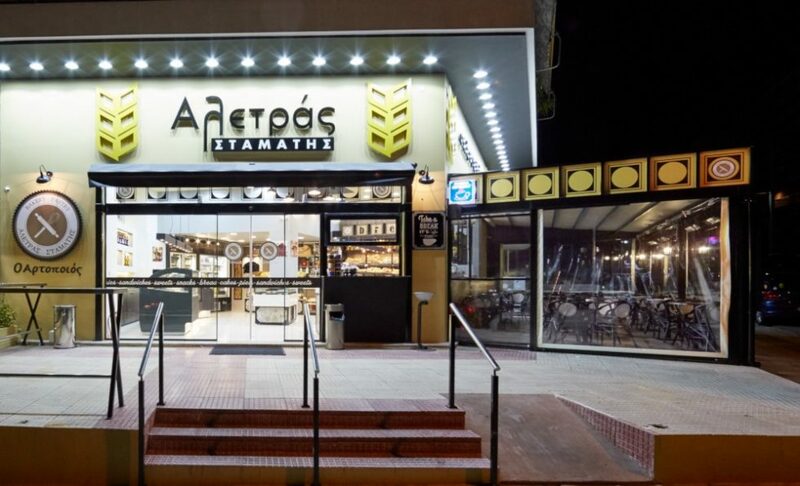 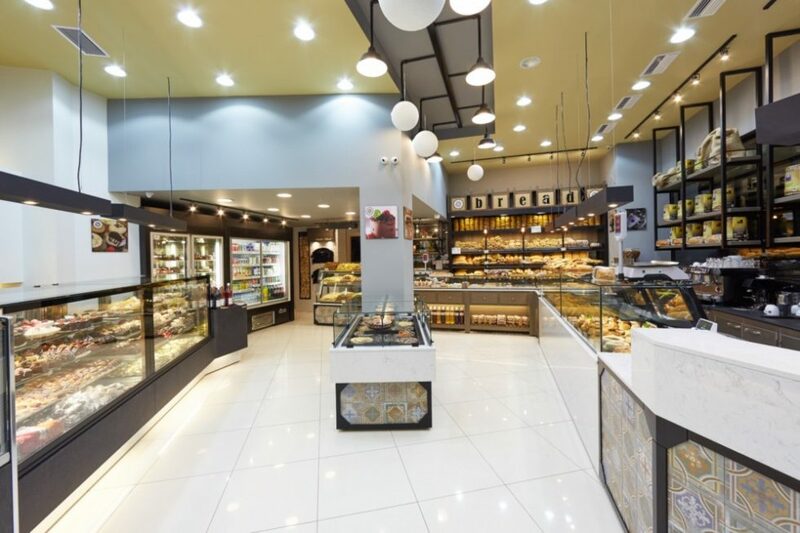 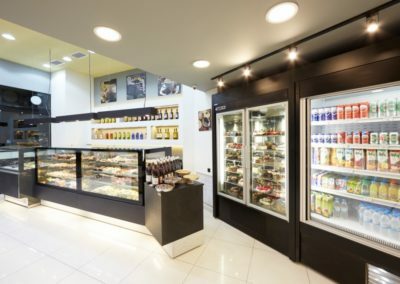 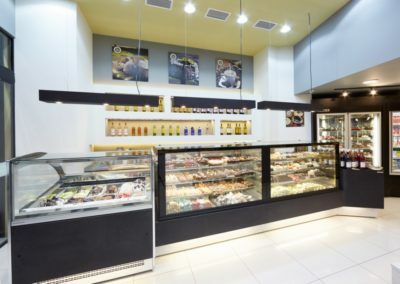 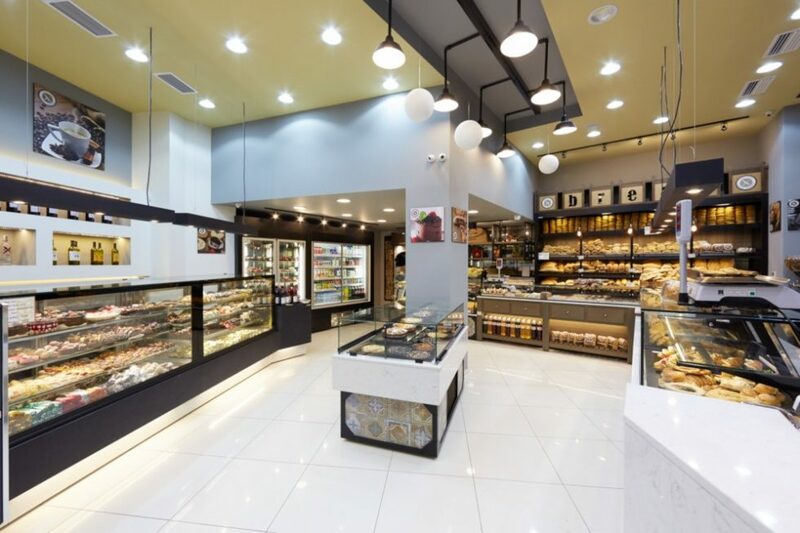 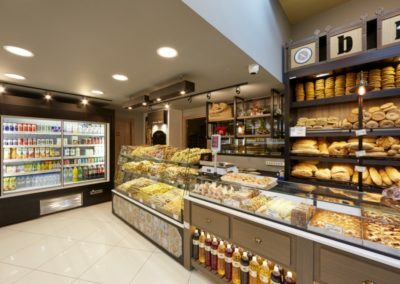 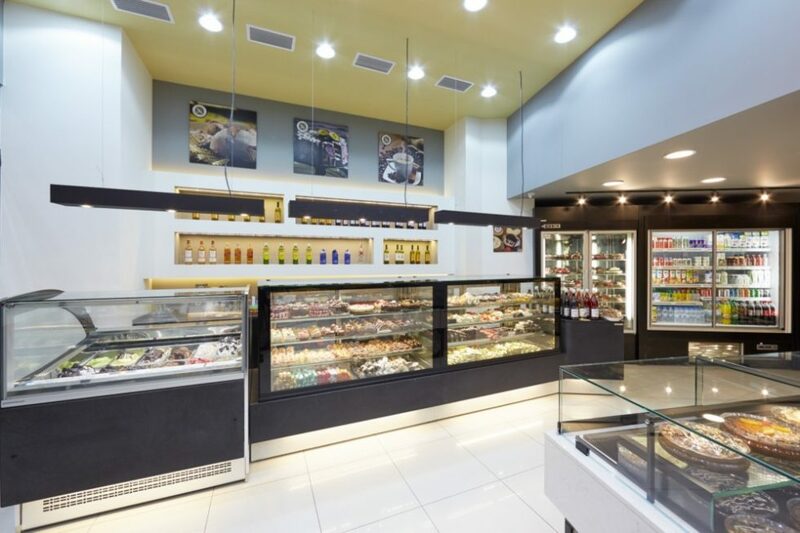 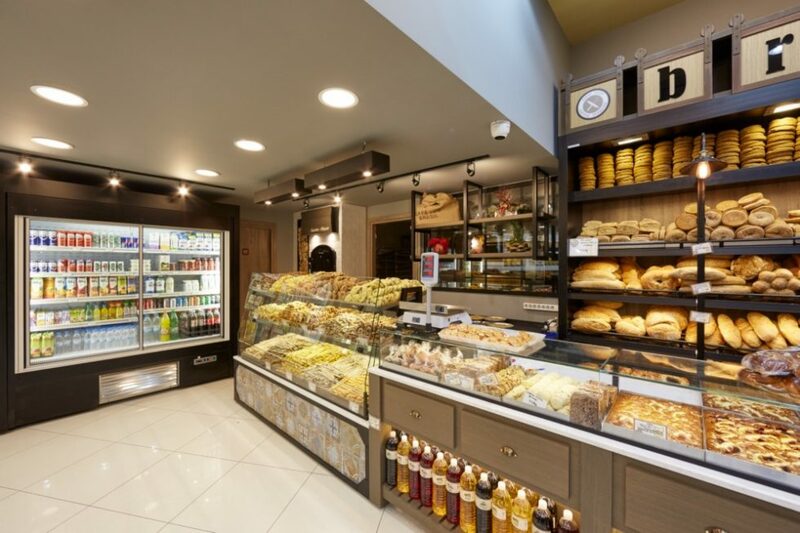 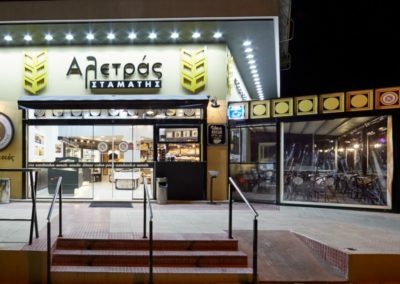 A new ALETRAS store opened in Ilioupoli under the supervision of D. Antonopoulos SA. 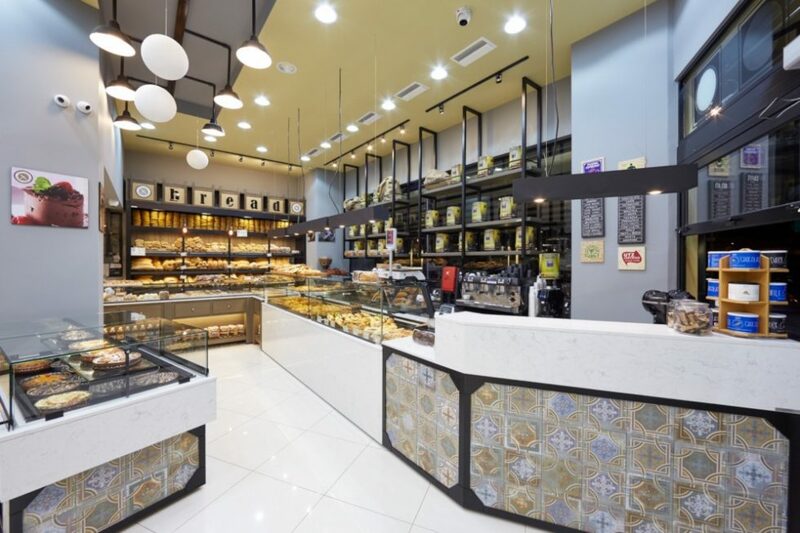 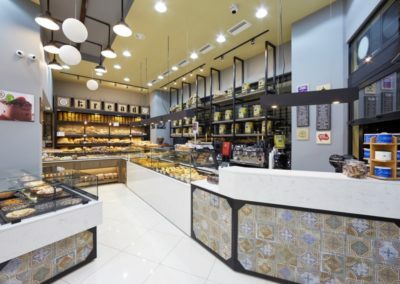 The trendy equipment combined with decorative touches such as retro oven doors framed with hardwood shelves, white granite with water lines and patchwork tiles create an elegant effect. 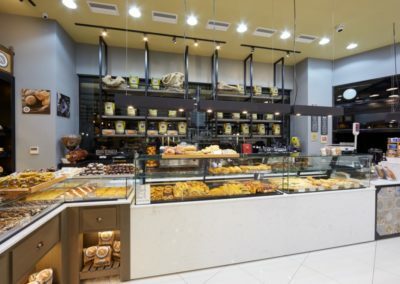 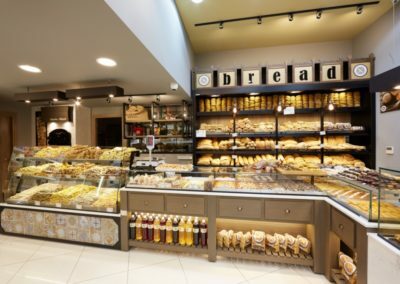 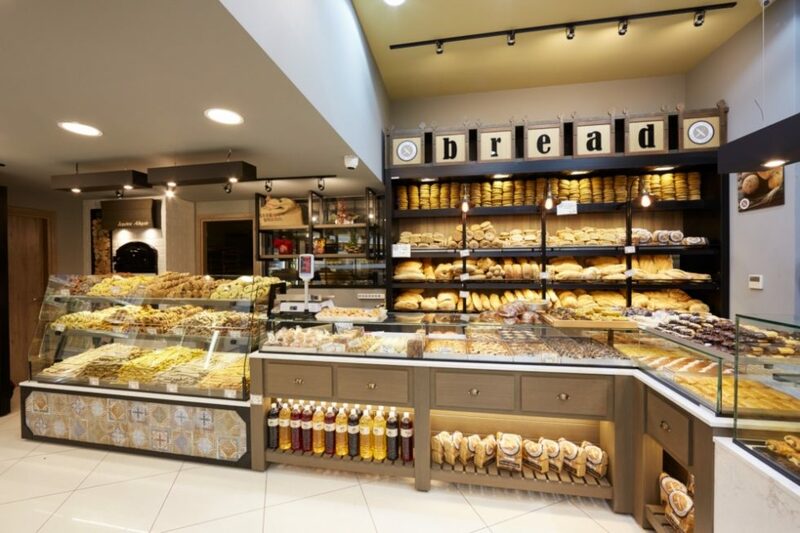 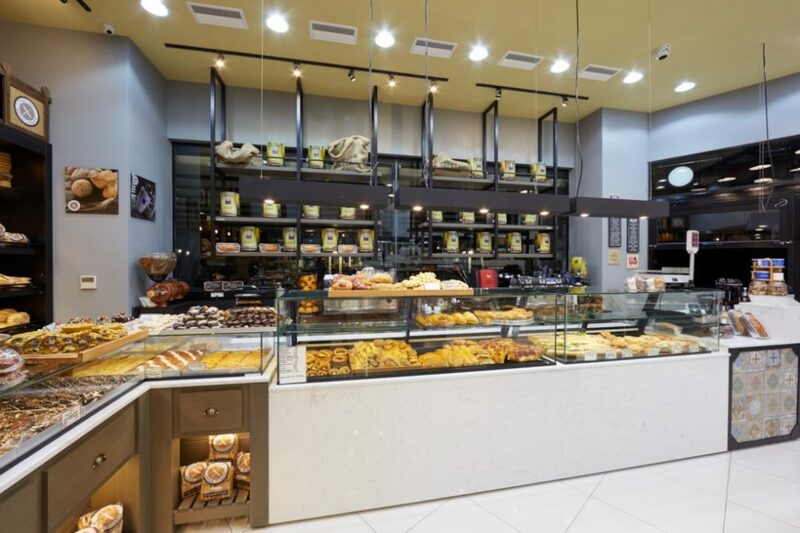 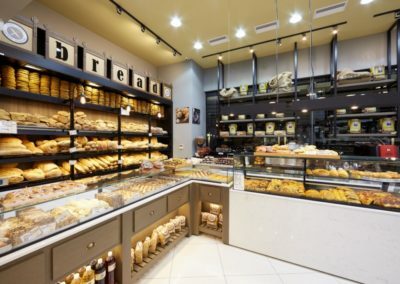 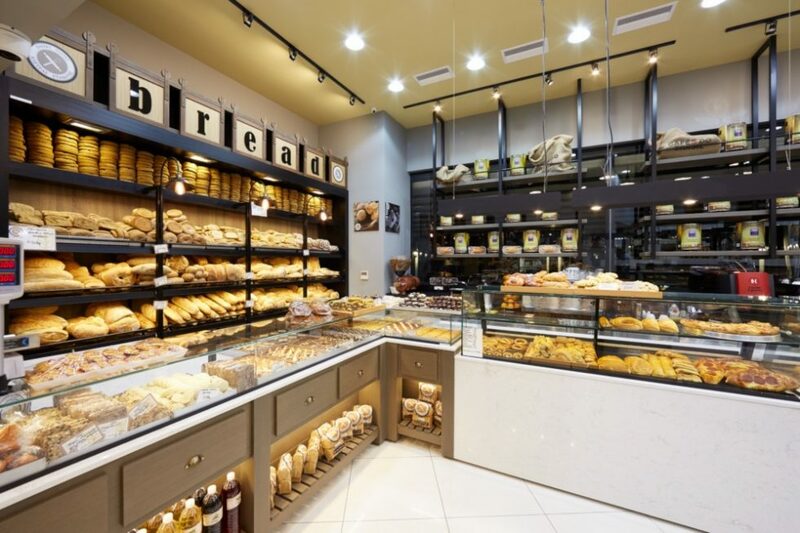 Bakery products are positioned in a specially constructed place while sweets are displayed through 4-level illuminated crystal vitrines. 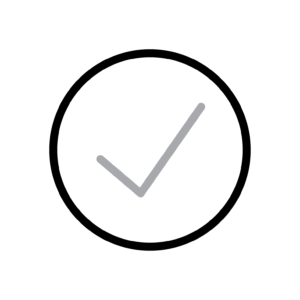 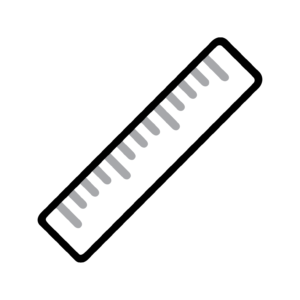 The coffee shop guarantees a truly enjoying experience and this is not to attribute only to the equipment but also to the snacks and delicacies one gets to taste. 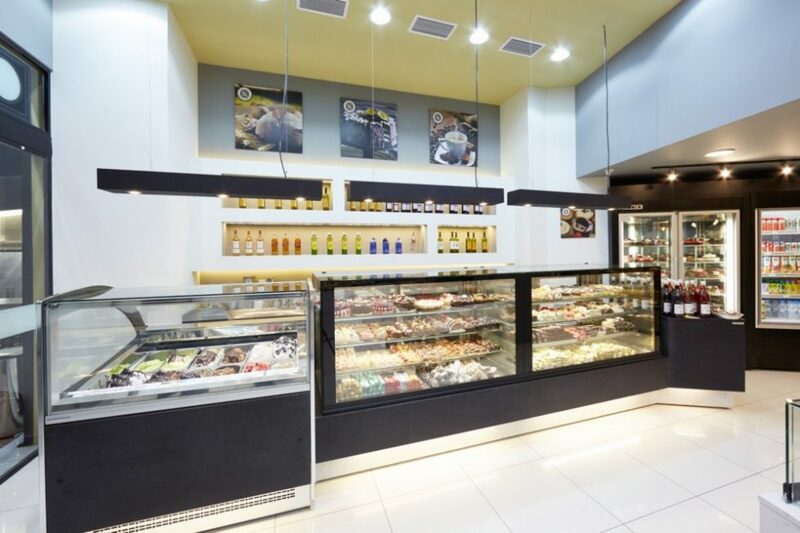 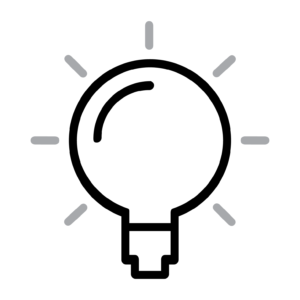 The lighting of the store excellently features all the products through the vitrines.